Visitors come to the tropical north of Queensland primarily for one thing – the Great Barrier Reef. The reef is right on Palm Cove's doorstep but no reef tours depart directly from the Cove. 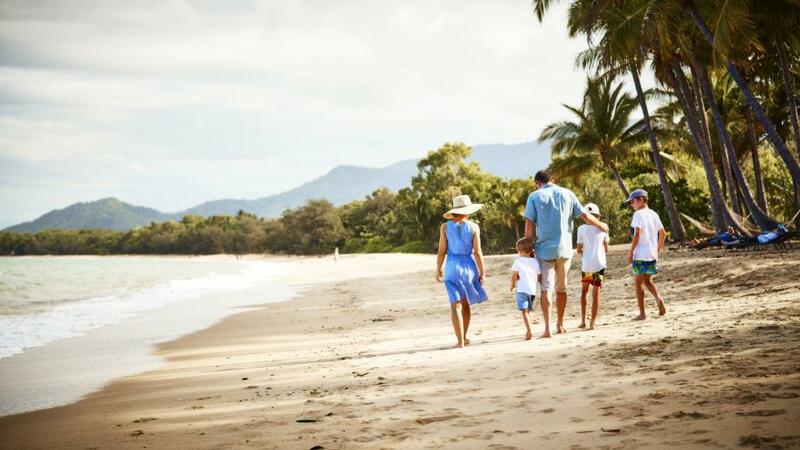 However, Palm Cove is perfectly positioned between Cairns and Port Douglas - two locations with hundreds of touring possibilities just 20 and 30 minutes away respectively. Many of the tours offered in the area do have Palm Cove pickups so there isn’t much hassle for tourists getting to tours. There are plenty of options when it comes to seeing and experiencing the reef. Medium sized cruise liners slowly cover the reef in luxury and comfort for multiple nights. Sailing ships drift quietly along the cost offering snorkeling opportunities at every location. Day trip options are endless where snorkelers, scuba divers and swimmers can visit tropical islands, stay at an ocean pontoon or use the boat as a base for underwater exploration. There are dinner cruises and dive liveaboards also. North Queensland is more than just reef tours. The World Heritage Listed Daintree Rainforest is about an hour away from Palm Cove. In the Daintree tourists have the choice of river cruises, 4WD safaris and rainforest treks. Visit Cape Tribulation, Mossman Gorge, Noah Valley and the Bloomfield Track. Not quite in the rainforest but close to Palm Cove is the exciting Skyrail cableway. Skyrail in conjunction with the Kuranda Scenic Railway makes for a wonderful day out in the tropics. Take to the air and join a helicopter tour for half an hour to an hour in length. Fly along the cost and over hundreds of individual reefs with fantastic photo opportunities along the way. For something a little more laid back but still in the air, a hot air balloon ride will do the trick. Hot air balloon rides operate away from the coast over the Atherton Tablelands but do pickups from Palm Cove accommodations.